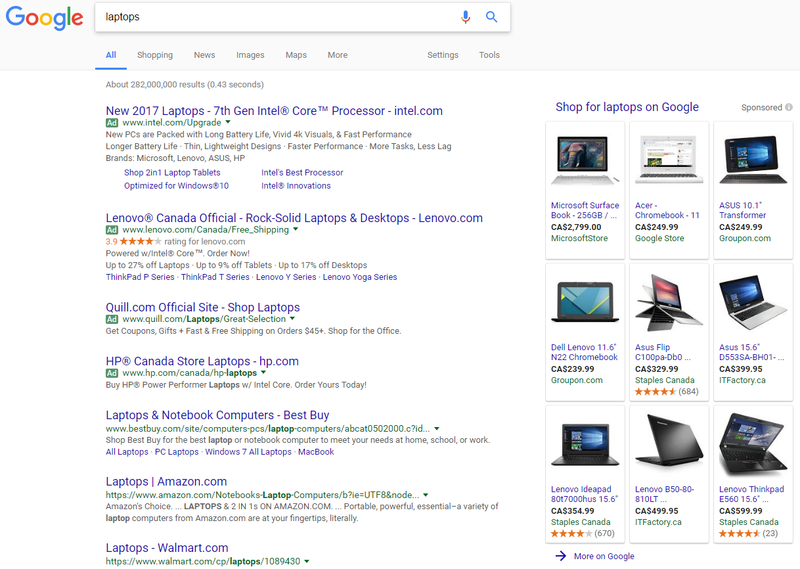 Google is testing out the card style format on their Product Listing Ads now on desktop. 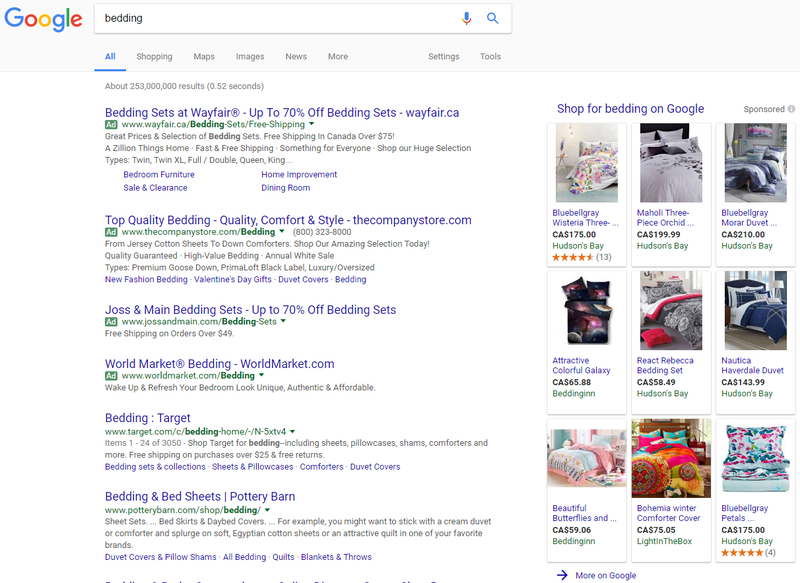 This format stands out quite a bit against the regular formatted search results. 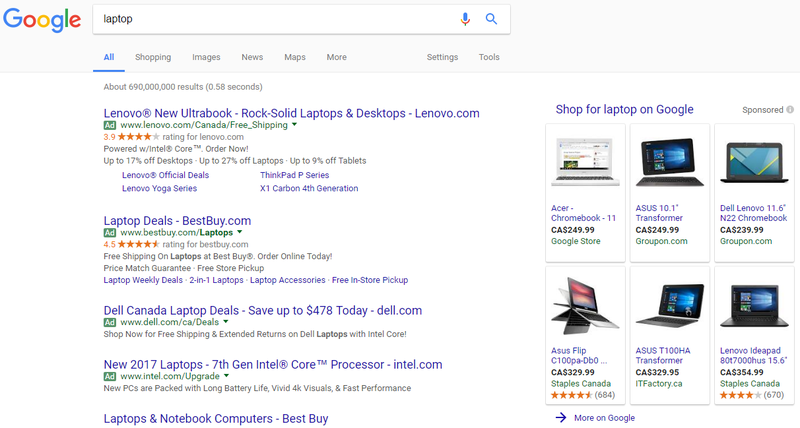 Google is testing the card style PLAs at both the position at the top of the search results and the ones that appear in the right hand sidebar. They do show fewer products in most cases, since the boxes and shading take up additional screen space, compared to the usual table format we see. 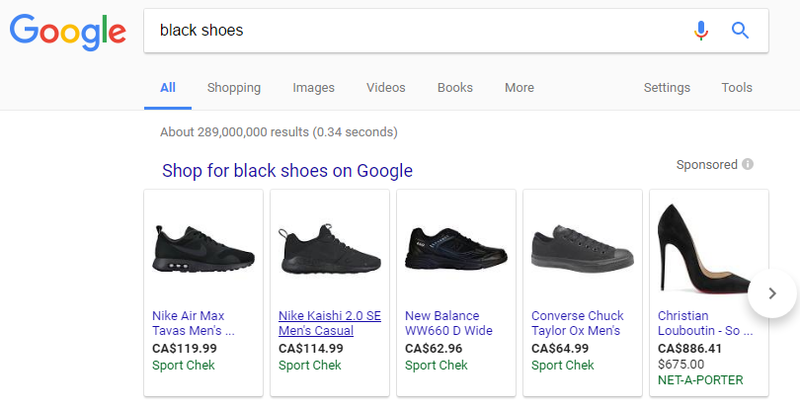 But they do stand out much more for searchers. 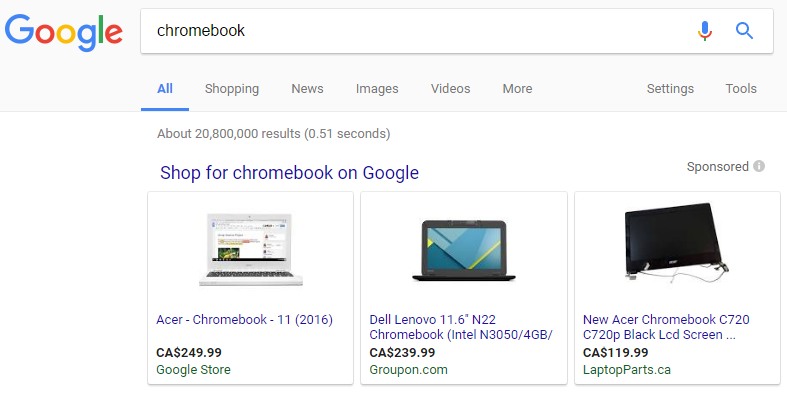 In the above screenshots, there are only three products across instead of the usual four. And another version showing the carousel format of PLAs. 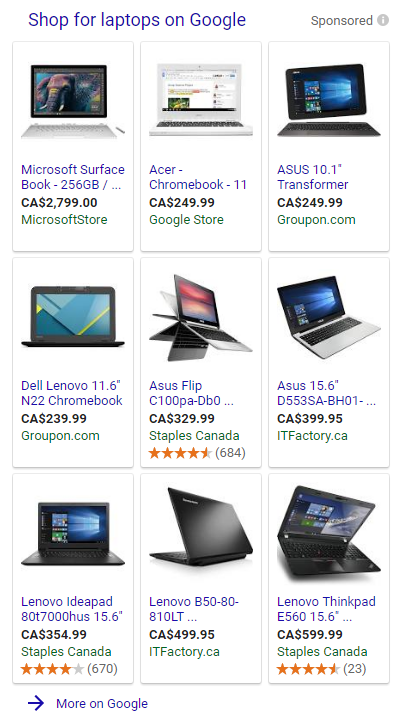 It is worth noting that these were being tested on pages that did not show the mobile card style search results on desktop. 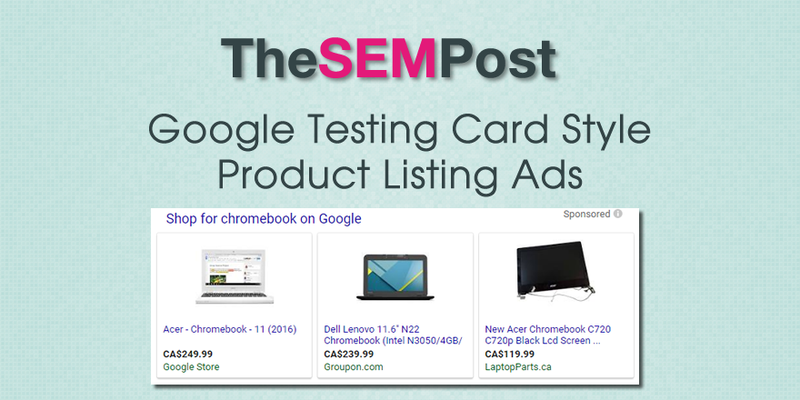 The main organic search results were formatted normally, it was only the Product Listing Ads in the card style.